Be the first to share your favorite memory, photo or story of Virgil. This memorial page is dedicated for family, friends and future generations to celebrate the life of their loved one. 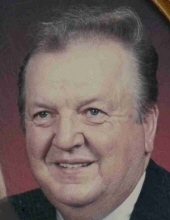 Virgil W. Dorn, 76, of Beatrice, died Friday night, January 11, 2019 at the Beatrice Good Samaritan Center. He was born on February 15, 1942 at rural Filley and graduated from Adams High School in 1959. He moved to Beatrice in 1961 and married Karen Heusman on July 29, 1961. They later divorced. He served in the U.S. Air Force from 1966 to 1969. Virgil married Evelyn Straub on November 7, 1976 at the First Christian Church in Beatrice. He was a letter carrier for the U.S. Postal Service in Beatrice for 28 years, retiring in 1997. He was a member of St. John Lutheran Church of Beatrice where he served as an usher and greeter. He was also a member of Bitting-Norman Post #27 of the American Legion and Aerie #531 of the Fraternal Order of Eagles both of Beatrice. He enjoyed traveling, gardening, Husker football, the St. Louis Cardinals, and spending time with family. Survivors include his wife, Evelyn (Ev) Dorn of Beatrice; three daughters, Gail (Dennis) Meier of Lawrence, KS, Robin Crismas and friend Cory Pinnell of Glasco, KS, and Jennifer Dorn of Chicago, IL; three granddaughters, Megan and Mindy Crismas and Abigail Meier; great-granddaughter, Lyla Hanna; sister, Irene (Duane) Daubendiek of Beatrice; step-sisters, Geneva Cramer of Beatrice, Kathleen (Ron) Voter of Washington, KS, and Darlene (Wayne) Schuerman of Lincoln; brothers-in-law, Marvin Bockholdt of Hardy and Ronald Vogel of Lincoln; sisters-in-law, Doris Dorn of Adams, Carol Straub of Beatrice, Joyce (Duane) Argo of Wymore, and Darlene Kohel of Beatrice; step-sister-in-law, Connie Riensche of Beatrice; many nieces and nephews. He was preceded in death by his parents, John H. and Minnie Holz Dorn; step-mother, Emma Riensche Dorn; brothers, Lester, Willard, Leonard and Alvin Dorn; sister, Norma Jean Bockholdt; sisters-in-law, Sena Dorn, Irene Dorn, and Shirley Vogel; step-brother, Donald Riensche. Funeral services will be held at 10:30 A.M. on Wednesday, January 16, 2019 at St. John Lutheran Church of Beatrice with Pastor Leah Lawson officiating. Burial will be at the Evergreen Home Cemetery of Beatrice with military rites conducted by Bitting-Norman Post #27 of the Beatrice American Legion. A family prayer service will be held at 10:15 A.M. Wednesday in the chapel of the church. The body will lie in state at the Fox Funeral Home on Tuesday from noon until 8:00 P.M. and then one hour preceding the service at the church on Wednesday. A memorial has been established to the family’s choice with Robert and Annora Schmidt in charge. www.foxfuneralhome.net Fox Funeral Home of Beatrice is in charge of the arrangements. To send flowers or a remembrance gift to the family of Virgil W Dorn, please visit our Tribute Store. "Email Address" would like to share the life celebration of Virgil W Dorn. Click on the "link" to go to share a favorite memory or leave a condolence message for the family.